The director is the man responsible for putting the story on the screen. He is, or should be, a story-teller in pictures, and as such is the filter through which the acting and technical talents pass on their way to the celluloid. Most movie enthusiasts think at heart that they are born directors; it is quite probable that you do, too. I am going to try and make you think again; but first let me confess it is one of the most fascinating jobs in the world. Have you got imagination? Have you extreme tenacity of purpose? Do you like hard work? Are you the sort of person who will use most known methods to see your ideas carried through to the end? If your answer is yes, read on. It is quite obvious that in order to learn about the rudimentary principles of film technique, the prospective director should work for some time on the studio floor as an assistant attached to the camera, sound or production department. He must learn about lenses and the effects they will produce. He must learn enough about lighting to know what can or can't be done, and so on with trick processes, sound effects, music playbacks, set construction. Having obtained a working knowledge of. the above mentioned technicalities, our prospective director is still lacking in the two most vital necessities of his equipment: a knowledge of acting and a knowledge of dramatic presentation. The answer to both of these lies in the cutting-room-for those who have eyes to see it. I say this because beyond a certain point there are things about drama that cannot be taught. You either have an instinctive sense of the dramatic or you haven't. You have a sense of timing or you haven't; and if you haven't, don't try to be a director or an editor. The film editor or cutter is a second director, for he again is the teller of a story in pictures. A good cutter is not a man whose chief qualification is to make a smooth cut-that is only part of his job-his chief task lies in squeezing the last drop out of every scene and out of every performance, leaving the rest on the cutting floor (and you would be surprised at some of the faces that lie there). 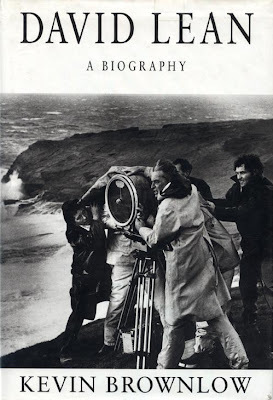 SID COLE has written about the complexities of film-editing in another chapter, and I do not wish to encroach upon his territory more than is necessary to make my point; but in my opinion, film-editing is, or should be, very closely allied to direction. Director and editor are both concerned with the dramatic presentation of a scene and the performance given by the actors in that scene. They are both story-tellers. They both decide what the audience has got to look at-and when. 1. Laurel and Hardy running along a street in full-figure shot. After running for 15 seconds or so, Hardy slips and falls on the pavement. 2. Close-up of a banana skin lying Oil the pavement. After a few moments Hardy's foot comes into picture, treads 011 the skin and slips. Now, where would you cut in the close-up of the banana skin? Just think for a moment. The answer is nothing to do with a smooth cut, but purely to do with our old friend, dramatic, or in this case, comedy instinct. Looking at these two shots from a purely smooth cut point of view, it would seem that the best place to cut the close-up of the banana skin would be the point at which the foot entered picture, carrying it on until halfway through the skid at which point one would cut back to the medium shot as Hardy crashes on to the pavement. Both cuts would be very smooth and the audience would laugh as Hardy fell, but they would not be getting the biggest laugh possible out of the scene. 1. Medium-shot of Laurel and Hardy running along the street. 1. Shot of gangster running. 2. Close-up of policeman peering out of window and looking down into the street. 4. The policeman raises his gun. 5. The gangster still running. (" Look out! look out! "). 6. The policeman taking aim. (And he could take aim for quite a time.) He fires. 7. The gangster just disappearing in the side alley as the shot smashes into a shop window. This could all be quite exciting if both the director and the editor had a good dramatic instinct, and it could be " awful dull" if one or the other hadn't. If the director has shot it properly, the editor could ruin it (and often has) ; and if the director has shot it badly (and often has), the editor could do very little about it-but he would know where the director had gone wrong. He would be learning all the time. Learning the job of direction. If you want to learn about direction,make your final destination the cutting room; and if you get no further, you won't be doing half badly. You will also learn a lot about acting in exactly the same way; by watching the actor's mistakes you will see what not to do. You will also see what to do, but that always looks so very, very easy when it is done properly and believe me it is very, very difficult. Before leaving the subject of the cutting-room, I had better be quite honest and warn you that I may be slightly biased in its favour, having spent an exciting ten years there myself. Most people, not entirely excluding the film financiers, look upon directors as egocentric maniacs, and in many cases they are quite right. They have to be, or the film would never appear on the screen. 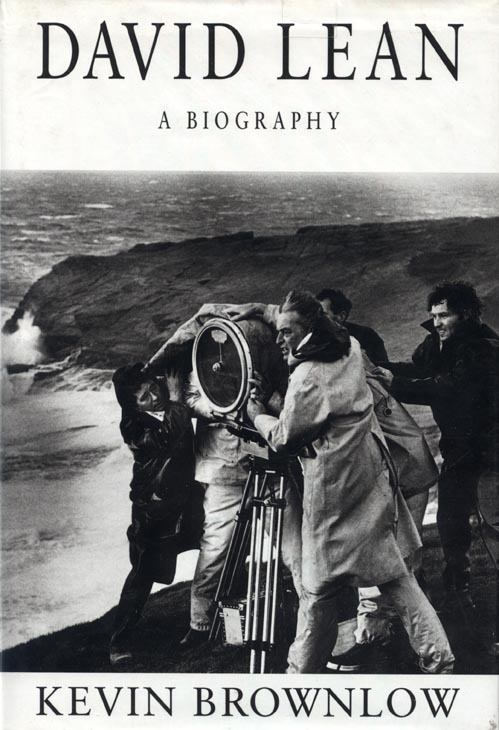 The director has to persuade actors to half-drown themselves in icy water, to have their heads shaved and eyebrows plucked out, to be hit in the stomach and kicked in the teeth. He has to hold the morale of the unit together under the most trying circumstances. Just imagine the tenacity and bulldog perseverance that went into the making of a film such as the Overlander's. The director made one trip out to Australia in order to find a story, he then came back, collected his unit and set out again and found the actors. He amassed a thousand head of cattle and drove them through several hundred miles of desert, mountain and scrub. Have you ever tried to drive half a dozen chickens into a pen? Try it, and try to film them in long-shot, medium-shot and close-up. You'll probably give it up before you get around to the close-up. Now think of the cattle. Add intense heat, extreme discomfort for weeks on end, and a mass of heavy sound and camera equipment which has to be lugged around wherever you decide to take a shot. Makes you feel quite tired, doesn't it? But now add the necessity of a constant flow of enthusiasm and ideas and the dealing with a hundred and one petty problems which, if overlooked, may waste time and money. Now think of the ninepennies coming out of their local cinema-" Not bad! But I never did like cows." Now think of the posters and somewhere at the bottom you may have seen that the Overlander's was written and directed by HARRY WATT. Can you take it? Have you got the required stamina and tenacity? The Overlanders is obviously a pretty tough example, but to a lesser degree the same qualifications are required in the studio. You have to be constantly at the top of your form or it will show on the screen at once, and as the production proceeds week after week, you begin to feel very tired, and the studio technicians begin to say that you are very difficult and temperamental. The studio is twenty miles from London. You start work at 8.30 a.m. and finish at 7.30 p.m. The atmosphere is close and stuffy, and if the film is in colour it is very hot. The actors have days off ; but you, the director, are there every day until it's finished. How I have looked forward to that Sunday morning in bed, and felt much worse for it on Monday. It is only fair to say that there is one more strenuous job than the director, the cameraman, but FREDDY YOUNG will tell you about that. He has the stamina of an ox and a knowledge of the movies which has been more than useful to one or two so-called directors. Film actors have no audience. Actors need an audience. They wouldn't be actors if they didn't. It is the director's job to be that audience and you only have to see a day's rushes (the screening of the previous day's work) to realise this point. You will see the actor play a scene and at the end of it you will hear the director say" Cut," and nine times out of ten that actor will look anxiously off-screen at the place where the director is sitting. He wants to hear the verdict on his performance. the unit jumping back and forth from one to the other every other day. The cost, floor-space, and time involved would be quite prohibitive. A film is, therefore, shot set by set. A set is built, shot on, and then pulled down leaving room for the next set. Supposing a film is being made about a young man who is working as a shop assistant in a Manchester store. He is unfairly dismissed in the course of the first sequence of the picture. He goes to London, where the greater part of the film takes place, makes his fortune, and returns twenty years later to buy up the store. Now just imagine the difficulty involved from the point of view of the director and actor. The producer has arranged that the first set to be shot is the store. Only two scenes take place in that set. The first . and the last-with a film gap of twenty years between them. The first scene takes three days to shoot. Then at 8.30 a.m. on the fourth day, one starts off on the last scene. There comes the rub. Both director and actor (he has been in the make-up chair since 6.30 a.m.) have mentally had to skip twenty years over night. What sort of man has developed in those scenes yet to be shot? The script will tell you that he has grown a moustache and that his hair is white. But there are many nuances and subtleties of character which are not underlined in the script. They can only exist in the director's and actor's imagination of the part. You see it is not so easy-although ERIC PORTMAN will tell you that this is by no means the actor's greatest problem. But the director is responsible for the actor's performance, and if he is a good director, the actor will have implicit faith in his judgment. If the actor is not very talented, it is the director's job to coach him in the part and get out of him the very best that he has in him. The actor may be difficult or temperamental, and the director must have the authority and personality to deal with him. He may be extremely nervous, in which case he must be put at his ease and his self-confidence built up ; or he may be a little boy with no previous experience, in which case every move and intonation will have to be given him. Film acting is still looked upon by many as a glamorous and over-paid profession, open to anyone with a pretty face and a shapely pair of legs. The teeth and figure can always be fixed, so can the acting-you can fake anything on the films. I can only reply, let them have a go. Let them stand in a studio-set with lights, cameras, microphones, and a host of sundry lookers-on, and walk from the door to the fireplace, sit down in a chair and light a cigarette. Most candidates would fail before reaching the fireplace. If they don't, let them then try lying on a bed and pretend they are waking up from a deep sleep. If that still fails to convince our would-be actor, give him two or three simple lines of dialogue, let him be convulsed with laughter, and then speak the lines through the laughter. Try it on a would-be film actor, and if he fails, show him how to do it. It's all in the day's work if you are going to be a director. Most amateurs judge films on what they call their reality, and it is essential for you to realise that a film is not real, it can't be, however real it may appear. If you were to photograph real life and real conversation, the result for the most part would be deadly dull. Film is dramatised reality and it is the director's job to make it appear real-and like most things, it looks very easy when it's been done successfully. An audience should not be conscious of technique; and if a film is good, I become very aware of it by the fact that I find myself crying or laughing with the fest of the audience. In other words the director and the actors have persuaded me that what I am seeing is real. And that's the catch. A director or actor achieves this illusion of reality by a series of little touches. Supposing you have a scene with an actress in a station buffet. The script simply states that she is sitting at a table sipping a cup of tea. But the director wants to add a little atmosphere to the scene and he suggests that she should wipe a drip off the bottom of her cup on the· edge of the saucer. It is most unlikely that the audience will be conscious of this little touch as a touch, because it seems so natural in the circumstances, but it has helped to give the scene reality. But film direction does not consist solely of thinking of little touches. The director has to decide the way in which the various scenes are played and in this there are many pitfalls. Have you ever noticed how most amateur actors nearly always overact? The reason for this is that they nearly always play with the scene, instead of playing against it. Let us take an example. A blackmailer is demanding a sum of money from a woman. He is explaining that he has knowledge of a past indiscretion which, if disclosed, would ruin her marriage. She agrees to pay him, and the scene ends with the blackmailer saying, " Goodnight, Mrs. Smith." Now the amateur playing the part of that blackmailer would play with the scene and take up some villainous attitude and stand menacingly above the horrified woman. He would speak his threatening lines in a threatening manner and he would round off the scene with a gloating, " Goodnight, Mrs. Smith!" The man is a villain and he plays him as a villain. The lines are villainous and he plays them villainously. Think how much more effective it would be if played against the scene and against the lines. Suppose that instead of standing in a menacing attitude above his victim, he nonchalantly arranged a bowl of flowers on the other side of the room and spoke in a quiet, almost disinterested tone. The scene might be quite frightening. The actor might even go so far as never once to look at the woman, but concentrate his attention entirely upon the flowers, stepping back from time to time to admire his handiwork. When the woman agreed to pay the money, he might look at her for the first time, and offer her a cigarette and finally show her to the door with a most courteous and friendly, " Goodnight, Mrs. Smith." cries, it's ten to one the audience won't. But let him hold back the tears and attempt to smile, and it will be the audience that cries. No it's not so easy and I wish I knew just half the answers. There's always such a lot to learn. My old friend OSWELL BLAKESTON asked me to write this chapter in order to help you decide whether you have the mental equipment necessary for being a film director, and I have found it very hard to lay down any specific rules because there are always the exceptions that prove a rule. But one thing is certain. You will not be able to jump straight into the director's chair, you will have to serve a long apprenticeship, and during that time you will be able to discover for yourself far more than I could ever tell you. But there are several cast-iron essentials for the job. 1. You must be both imaginative and practical. It is no good having ideas if you are unable to put those ideas into practice. I have heard and read so many eager enthusiasts theorising on the art of the cinema, and their discussions more often than not have no relation to a camera and a studio floor. Theory is one thing, and practice another. The high brow is not a passport to success in the film industry. 2. Film making is hard work. You must have both mental and physical stamina to cope with that twelve weeks' battle on the set. 3. You must be capable of handling people and have an intense interest in human behaviour. Films are about people and their emotions and you, as the director, have to know more about the characters you are showing on the screen than anyone else on the set. 4. You must have a good strong sense of the dramatic. 5. You must be a pretty big egotist. How can you be anything else if you are to make everyone see the film your way? The best films are generally those that have the stamp of one man's personality. 6. Above all you must have an unbounded love and enthusiasm for films. Tomorrow morning I start work on the script of my next picture. I am just as excited, frightened, confident and hopeful as you will be when you get your chance as a director. Blakeston, Oswell ed. Working for the Films. Great Britain: Focal Press Limited, 1947, pp. 27-37.